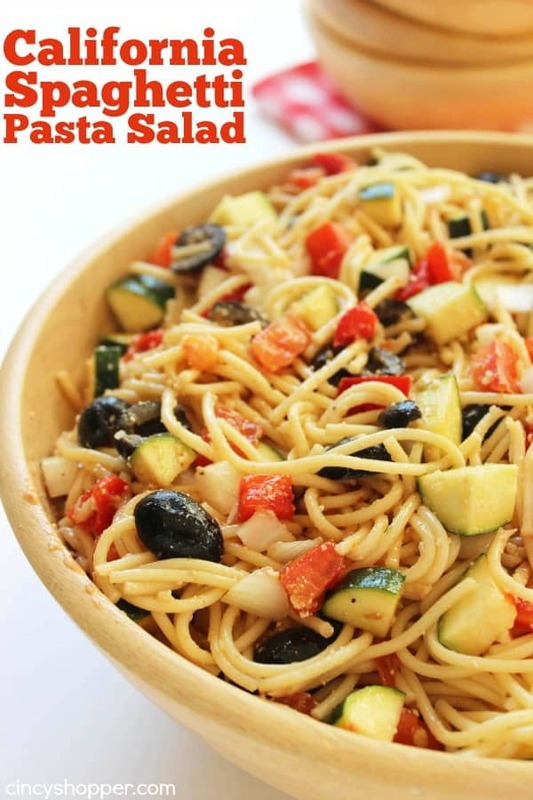 We are always needing salad recipes for summer and this California Spaghetti Pasta Salad was a hit. 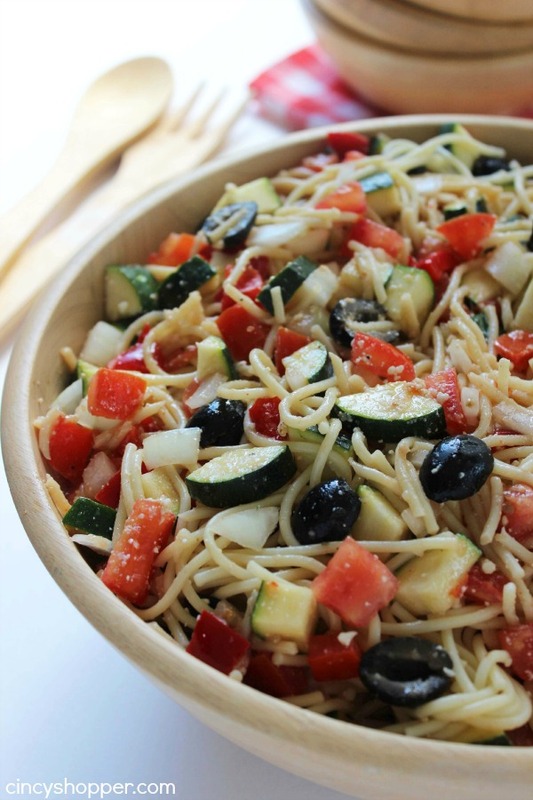 The salad is loaded with veggies like zucchini, cucumbers, peppers and more! 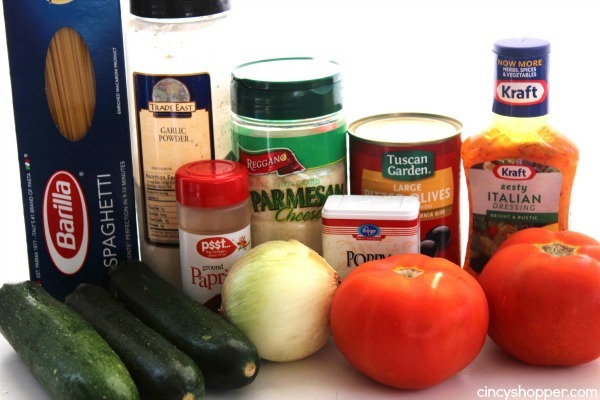 Then we top it with lots of Parmesan cheese and an awesome blend of spices in the dressing. Yesterday morning, we decided last minute that we were going to have an evening bbq with some family members. I volunteered to throw together some quick salads as our families contribution. 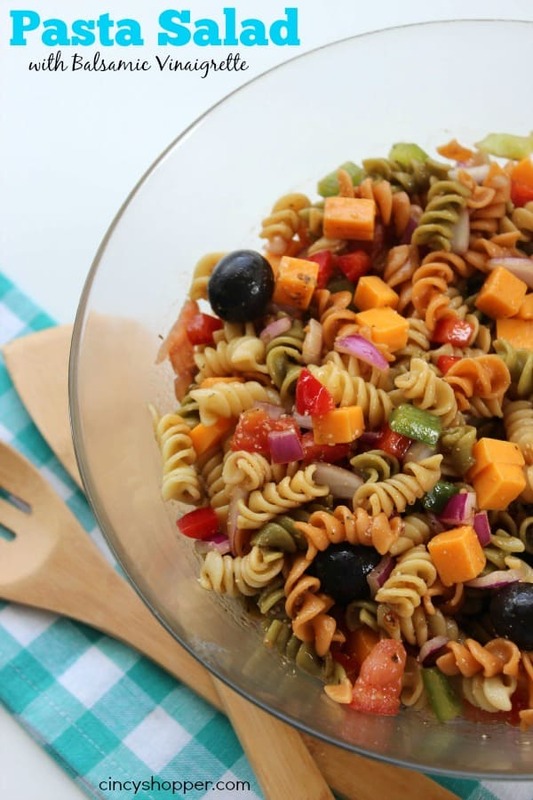 I made our Quick and Easy No Cook Potato Salad and this California Pasta Salad. Both of these dishes were super simple and I had them made quite quickly. 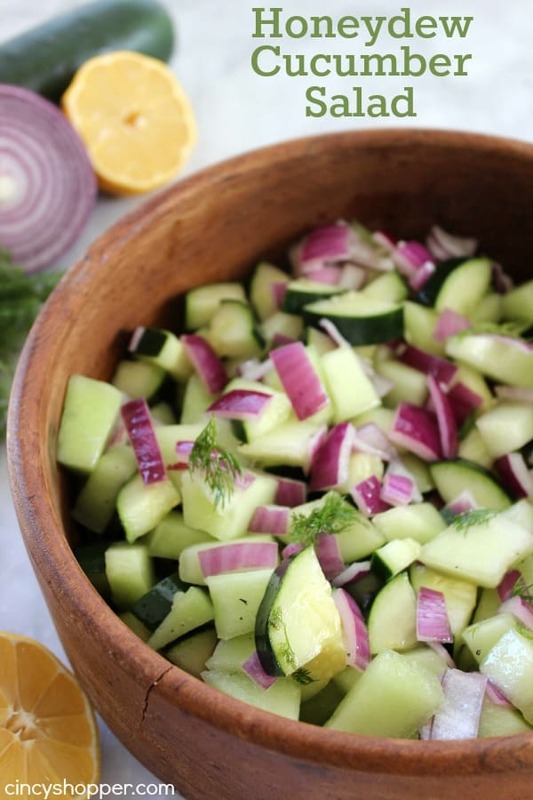 Making summer salads is always so simple and make for the perfect cold side dishes during the hot months. We quite often enjoy the leftovers with sandwiches for lunch the following day. I will make a large enough batch just so I know we will have the extras. 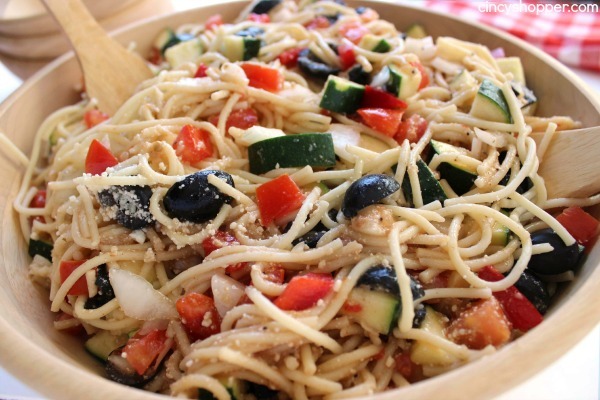 Pasta salad is one of my all time favorite summer dishes. 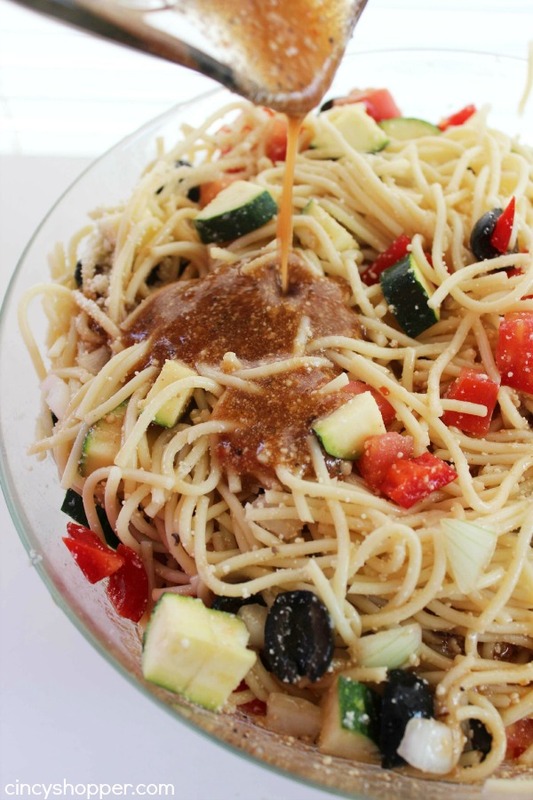 I normally make our Pasta Salad with Balsamic Vinaigrette. 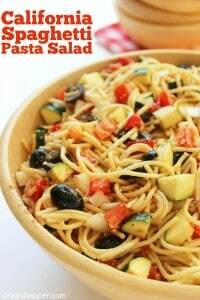 Since I had spaghetti noodles on hand, I decided to make this yummy California Spaghetti Pasta Salad. My aunt shared this recipe with me at one of our recent bbq’s. Since everyone loved it, I knew I needed to make it and make some variations to her recipe that I thought would work great. I loaded this salad with lots of Parmesan Cheese. I love extra cheese in just about every dish that calls for cheese. I guess you could almost call me a cheese freak, ha ha. Cheese just makes everything better. The dressing that her recipe called for was just a basic store bought Italian Dressing. I used some Kraft Italian that I had on hand and added in the balsamic vinegar dressing. It really helped kick up the flavors a bit. 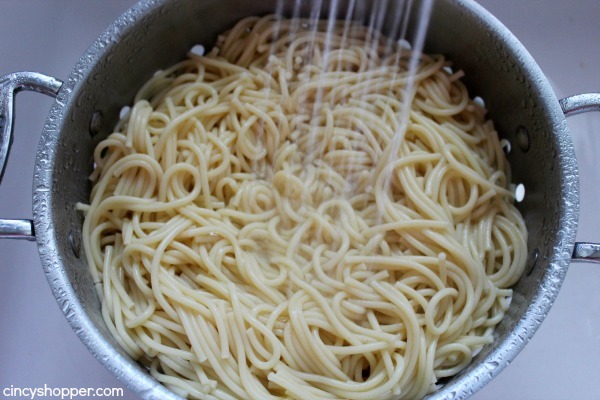 Break spaghetti into 2″ pieces and cook until tender. Rinse and allow to cool. 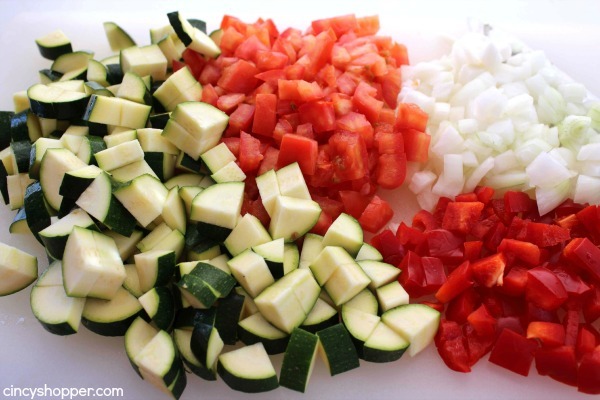 Combine dressing ingredients and refrigerate until ready to use. Toss together salad ingredients in serving bowl. 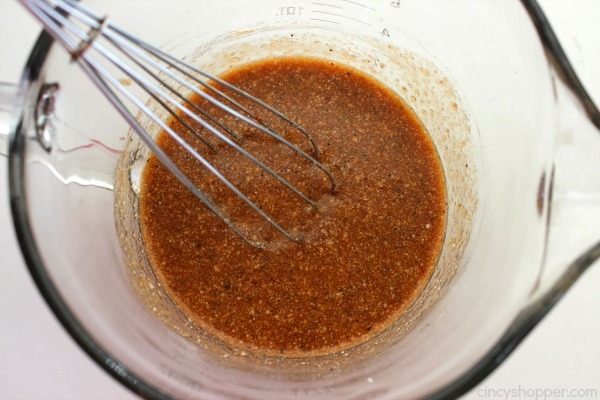 Pour over dressing anfd toss to coat. 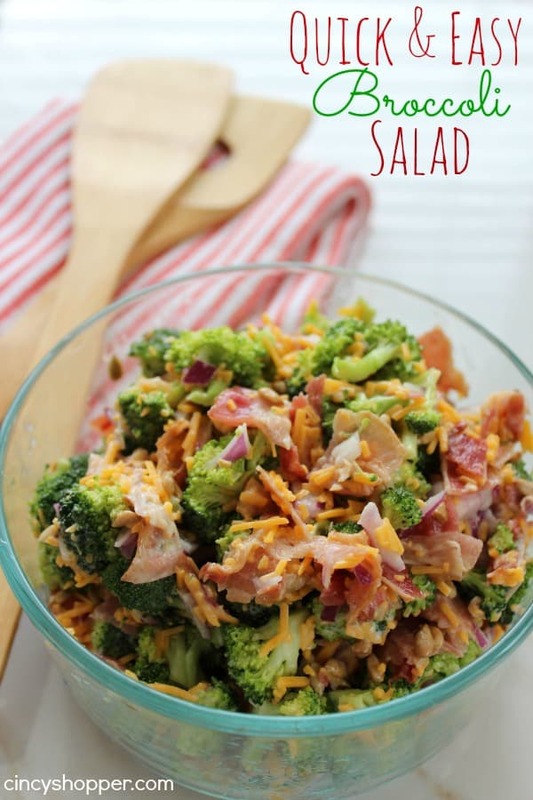 Do you have favorite salads that you make when summer arrives? 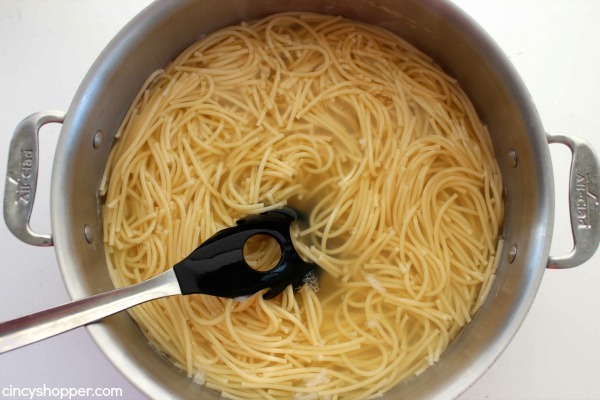 Break spaghetti into 2" pieces and cook until tender. Yum, this looks so good. So refreshing! I need to make this! Thanks for posting, found you on Wonderful Wednesday Blog Hop! This looks soooo good! Pinned ~ I’m trying this soon! This looks so delicious! 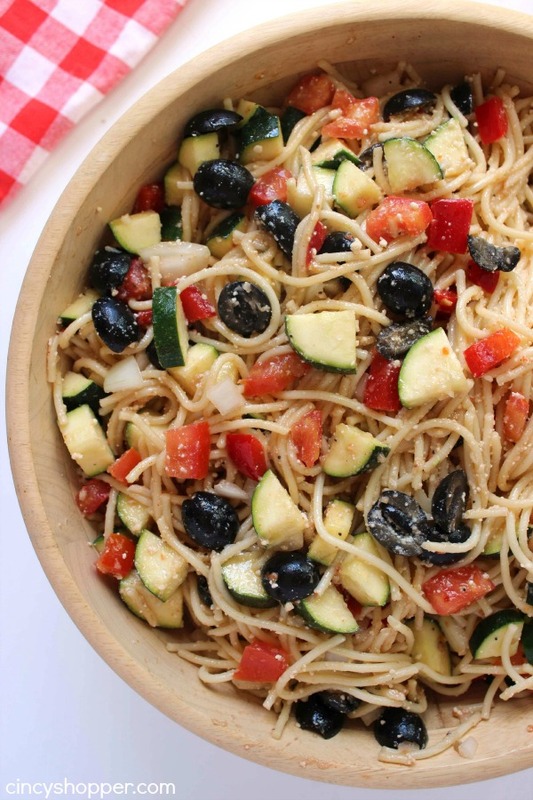 And I love tomatoes and olives together! Found you at This Is How We Roll! 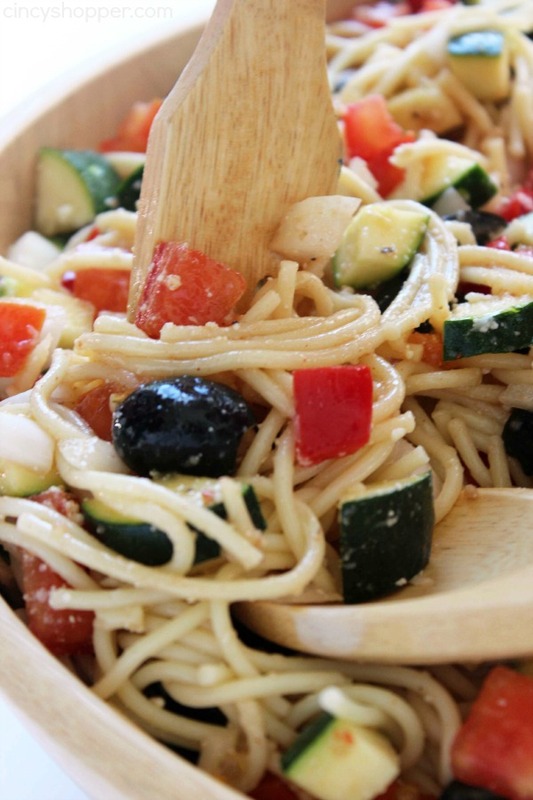 I have never heard of Spaghetti salad before but I can’t wait to make this yummy recipe. Thank you for sharing on the #HomeMattersParty link up and hope you will come back to share again.